Delran NJ Wedding Photographer at Clarks Landing Yacht Club. 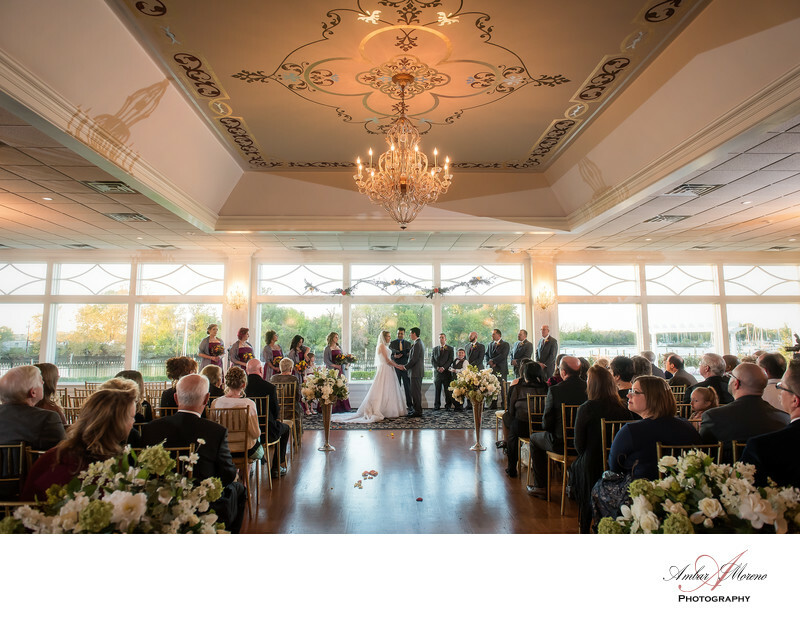 A beautiful wedding venue located in South Jersey next adjoining the Delaware River. The venue has a spacious and beautiful banquet room. They are able to accommodate over 200 guest. You have two choices as to where you would like to have your ceremony. They have a beautiful landscape area where ceremonies are frequently conducted, but you also have the option of having your ceremony inside. Your guest will simply love the the backdrop of the venue which the marina. The staff at Clarks Landing will graciously assist you with the decor you have chosen for your wedding. Later in the evening you have the option of going outside onto the pier where beautiful photographs can be taken as the sun sets. Imagine being toasted by your best man and your maid of honor as the sunlight radiates through the windows which extends from one end of the room to the other. Clarks Landing Yacht Clubs in New Jersey are beautiful venues. The photo opportunities are plentiful and the scenes are incredible and breathtaking. You will simply love and enjoy your wedding. This venue is a must see. Photographing all those wonderful moments as I put together a story through my photography is priceless. Location: 63 St Mihiel Dr, Delran, NJ. Keywords: Clarks Landing Yacht Club (15), Delran (15).